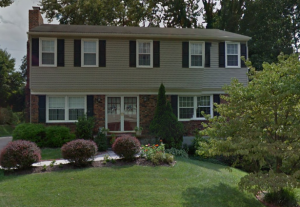 245 homeowners in the Potomac area have used our help in getting their roofs approved by insurance. Not sure what I am talking about? On May 2nd, there was a severe storm that had significant sized hail, roughly 1.5″-2.5″ inches. 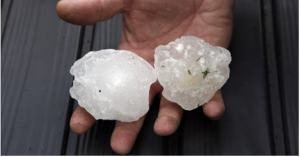 Hail this size can greatly damage your roof, siding, gutters and downspouts, so much so that insurance companies pay to repair credible damage. 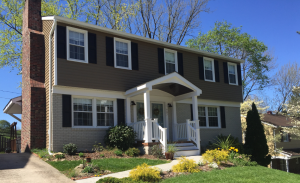 Modern Remodeling, Inc. has over 25-years in the residential insurance claims industry. 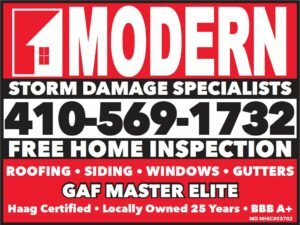 We are Haag certified and a GAF Master Elite Contractor, credentials that make us highly qualified to handle your claim. In fact, you may have seen our job signs in your neighbor’s yards. 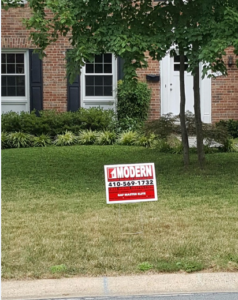 Each job sign represents a homeowner who has decided to work with Modern Remodeling, Inc. to help with their insurance claim and do the repairs. To find a job near you, just call our office and we’ll be happy to recommend one for you to see our work or speak with a current customer. Out of the hundreds on homeowners we have worked with just in the Potomac area, almost every single one has been approved by insurance. Insurance companies respect our credentials but also, we are honest with homeowners when our free inspections show no signs of hail damage. Our free inspections take only 15-minutes and can ensure your home has no damage in an area where it is highly likely it may have suffered some from the May 2nd storm. After a claim is approved by insurance, Modern Remodeling, Inc. will do your repairs in 2-weeks or less, so you never have to wait and damage is not made worse. Trust the company hundreds of your neighbors are using and contact us today to set up your free inspection!.